DYNASTY Horse of the Year & Champion 3YO Classic Male in South Africa in 2002-03. 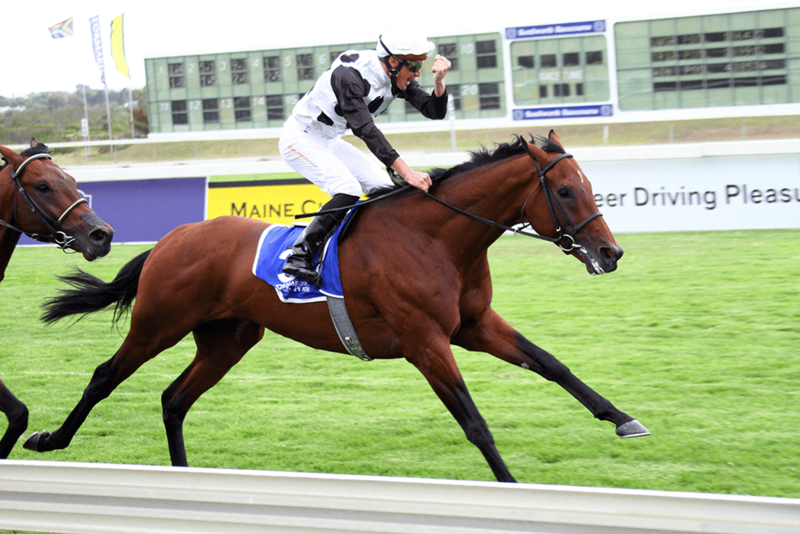 9 wins-1 at 2-from 1600m to 2200m, R2,125,000, Greyville Durban July H., Gr.1, Kenilworth Cape of Good Hope Derby, Gr.1, Greyville Daily News Two Thousand S., Gr.1, South African Guineas, Gr.1, Kenilworth Green Point S., Gr.2-twice, Selangor Cup, Gr.2, 2d Kenilworth Cape Argus Guineas, Gr.1, Greyville Golden Horseshoe S., Gr.2, 3d Kenilworth Queen’s P., Gr.1. He entered stud in South Af in 2005. Sire of 542 progeny to race, 378 winners (69.0%), earnings of over $13 million, 63 stakes winners, 38 stakes placegetters, inc.
BEACH BEAUTY (07f, Capture Him, Hobnob). Champion Older Female in South Africa in 2012-13 & 2013-14.17 wins from 1000m to 2000m, R5,300,225, Kenilworth Paddock S., Gr.1-twice, Majorca S., Gr.1, Greyville Garden Province S., Gr.1-twice, Drill Hall S., Gr.2-twice, Betting World 1900, Gr.2, KRA Fillies Guineas, Gr.2, Gold Bracelet S., Gr.2, Kenilworth Premier Trophy, Gr.2, Scottsville Umzimkhulu S., Gr.3, Kenilworth L’Ormarins Queens P., Clairwood Rusedski P., 2d Kenilworth Paddock S., Gr.1, Clairwood Gold Challenge, Gr.1-twice, Greyville Garden Province S., Gr.1, Clairwood Poinsettia S., Gr.3, Kenilworth Victress S., Gr.3, 3d Kenilworth J&B Metropolitan H., Gr.1, Green Point S., Gr.2. LEGISLATE (10c, Restructure, Jungle Cove). 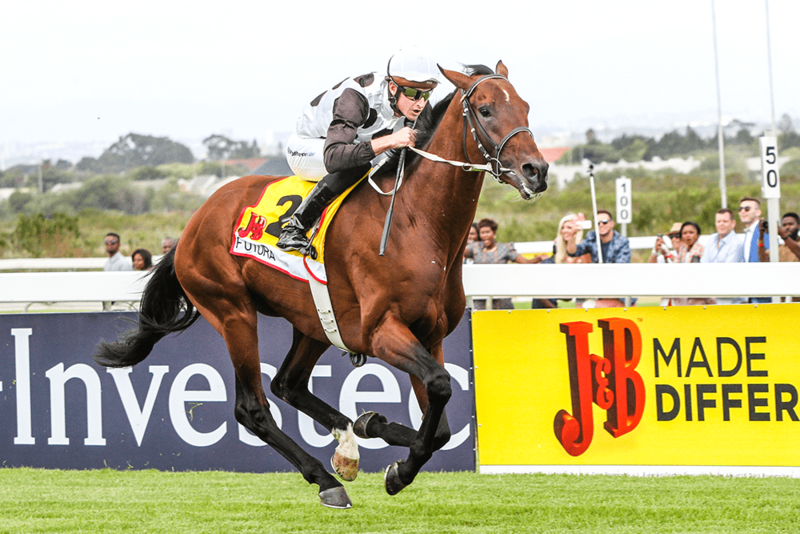 Horse of the Year in South Africa in 2013-14. Champion 3YO Colt & Middle Distance Male in South Africa in 2013-14 and Champion Miler in 2014-15.7 wins from 1600m to 2200m, R5,788,600, Greyville Durban July H., Gr.1, Daily News 2000 S., Gr.1, Gold Challenge, Gr.1, Kenilworth Cape Derby, Gr.1, Greyville KRA Guineas, Gr.2, Kenilworth Green Point S., Gr.2, 2d Kenilworth Queen’s P., Gr.1, Selangor Cup, Gr.2, Cape Classic, Gr.3, 3d Greyville Champions Cup, Gr.1, Mercury Sprint, Gr.1. FUTURA (10c, Badger’s Drift, Western Winter). 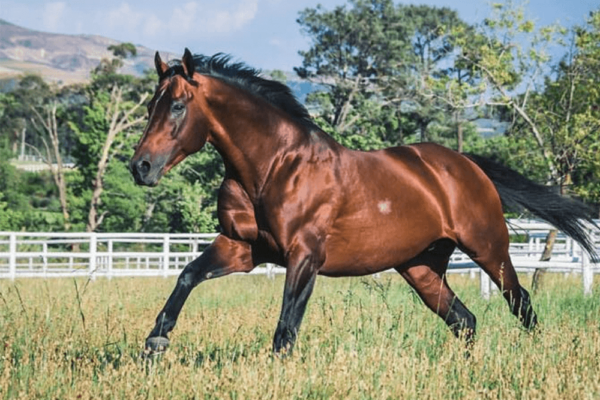 Horse of the Year, Champion Older Male & Middle Distance Horse in South Africa in 2014-15.9 wins from 1200m to 2000m, R4,337,575, Kenilworth J&B Metropolitan H., Gr.1, Greyville Champions Cup, Gr.1-twice, Kenilworth Queen’s P., Gr.1, Greyville Betting World Fixed Odds Exotics 1900 Consolation H., Lotus Rehabilitation Centre S., Clairwood Rugby 5 P., Kenilworth J&B Made Different H., 2d Kenilworth Green Point S., Gr.2, Cape Town Prawn Festival Day H., 3d Greyville Durban July H., Gr.1, Kenilworth Green Point S., Gr.2, Clairwood Cup Trial, Gr.3, 4th Greyville Durban July H., Gr.1, Gold Challenge, Gr.1. BELA-BELA (12f, Royal Academy, Secreto). 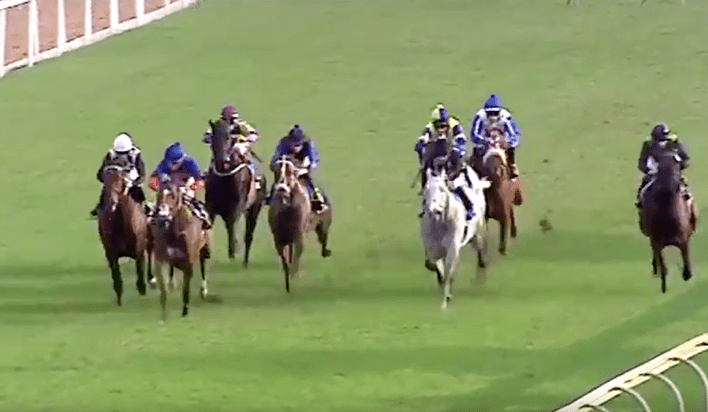 Champion 3YO Filly in South Africa in 2015-16.7 wins from 1000m to 2000m, R2,636,875, Greyville Woolavington 2000, Gr.1, Garden Province S., Gr.1, Kenilworth Paddock S., Gr.1, Greyville KZN Fillies Guineas, Gr.2, 3d Greyville Gold Challenge, Gr.1, Kenilworth Paddock S., Gr.1, 4th Greyville Champions Cup, Gr.1. JACKSON (08c, Cozzene, Gone West). 6 wins from 1400m to 2000m, R2,366,255, Kenilworth Cape Derby, Gr.1, Greyville Daily News 2000 S., Gr.1, Champions Cup, Gr.1, Kenilworth Politician S., L, 2d Kenilworth Queen’s P., Gr.1-twice, Greyville KRA Guineas, Gr.2, Kenilworth Green Point S., Gr.2, Diadem S., Gr.2, 3d Kenilworth Buy One Meal Get One Free S., 4th Clairwood Mercury Sprint, Gr.1. IRISH FLAME (06c, Flaming Rock, Condorcet). Horse of the Year in South Africa in 2009-10. 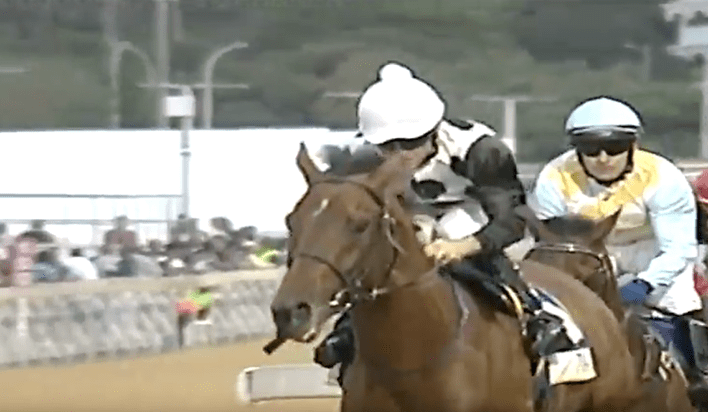 Champion 3YO Colt & Stayer in South Africa in 2009-10.7 wins from 1600m to 2450m, £4,075, R2,740,825, 151,488Dhs, Turffontein South African Derby, Gr.1, Greyville Daily News 2000 S., Gr.1, Clairwood Gold Circle Derby, Gr.2, Kenilworth Politician S., L, 2d Greyville Durban July H., Gr.1, 3d Turffontein South African Classic, Gr.1, 4th Meydan Al Rashidiya S., Gr.2. EYES WIDE OPEN (14c, Jallad, All Fired Up). 4 wins-2 at 2-from 1600m to 2000m to 2017-18, R1,602,125, Greyville Premiers Champion S., Gr.1, Kenilworth Cape Derby, Gr.1, Peninsula H., Gr.2, 3d Greyville Champions Cup, Gr.1, Kenilworth Premier Trophy, Gr.2. ACT OF WAR (11c, Cordoba, Calvados). 8 wins-3 at 2-from 1200m to 1600m, R1,820,500, Kenilworth Cape Guineas, Gr.1, Selangor Cup, Gr.2, Durbanville Matchem S., Gr.3, Kenilworth Cape Classic, Gr.3, Winter Guineas, Gr.3, Langerman H., Gr.3, Winter Juvenile S., L, 2d Kenilworth Cape Derby, Gr.1, 4th Kenilworth Green Point S., Gr.2. JUST SENSUAL (13f, Camden Park, Dancing Champ). Champion 3YO Filly in South Africa in 2016-17.6 wins from 1000m to 1600m to 2017-18, R1,533,750, Kenilworth Cape Fillies Guineas, Gr.1, Greyville Tibouchina S., Gr.2, Kenilworth Southern Cross S., Gr.2, Prix du Cap, Gr.3, 2d Scottsville South African Fillies Sprint, Gr.1. IT’S MY TURN (12c, Jallad, Elliodor). Champion Stayer in South Africa in 2017-18.5 wins from 1300m to 3200m to 2017-18, R2,800,845, Kenilworth Cape Derby, Gr.1, Greyville Gold Cup, Gr.3, Gold Vase, Gr.3, Scottsville Track & Ball Derby, Gr.3, 2d Greyville Daily News 2000 S., Gr.1, 3d Greyville Betting World 1900, Gr.2, Kenilworth Peninsula H., Gr.2, Greyville Kings Cup, Gr.3, 4th Greyville Durban July H., Gr.1. LIEGE (12c, Jallad, Royal Prerogative). 6 wins from 1600m to 2000m to 2017-18, R1,965,050, Turffontein Summer Cup, Gr.1, Jubilee H., Gr.3, Vaal Book a Table H., Turffontein Care for Education P., 2d Turffontein Victory Moon S., Gr.2, Graham Beck S., Gr.3, 3d Kenilworth Politician S., Gr.3, 4th Turffontein Summer Cup, Gr.1. LADY IN BLACK (14f, Jet Master, Flaming Rock). Champion 2YO Filly in South Africa in 2016-17.5 wins-3 at 2-from 1200m to 1600m to 2018-19, R1,571,875, Greyville Thekwini S., Gr.1, Umzimkhulu S., Gr.3, Kenilworth Supabets S., Greyville Lenmed: Ethekwini Heart Hospital Juvenile P., 2d Kenilworth Paddock S., Gr.1-twice, Majorca S., Gr.1, 3d Greyville Woolavington 2000, Gr.1, 4th Kenilworth Cape Fillies Guineas, Gr.1. ANCESTRAL FORE (06g, Pole Position, Lords). 5 wins-1 at 2-from 1200m to 3200m, R1,179,750, Greyville Gold Cup, Gr.1, Lonsdale Stirrup Cup, Gr.3, Kenilworth Laird Leatherware CC H., Scottsville Winter Diamond P., 2d Kenilworth JWS Langerman H., Gr.3, 3d Kenilworth Sophomore Sprint H., L, 4th Kenilworth Cape Guineas, Gr.1, Selangor Cup, Gr.2. FRONT AND CENTRE (15f, Alzao, Shirley Heights). 4 wins from 1200m to 1600m in 2018-19, R895,625, Kenilworth Cape Fillies Guineas, Gr.1, Betting World H., Durbanville Jockey Chase – 6 October at Durbanville H., 3d Kenilworth Majorca S., Gr.1. LADY OF THE HOUSE (13f, Arch, Known Fact). 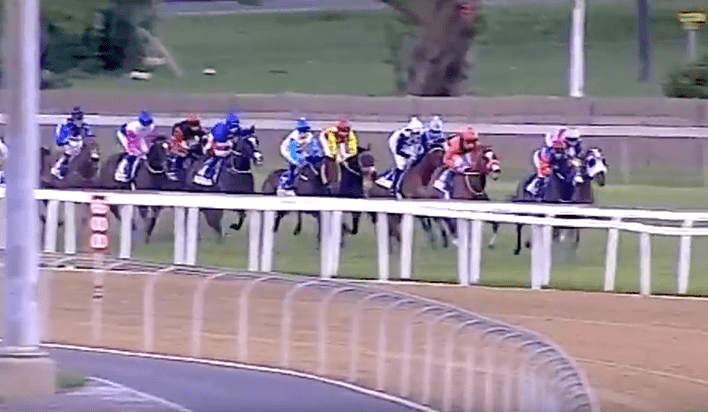 3 wins at 1400m, 2000m, R783,750, Greyville Woolavington 2000, Gr.1, 3d Kenilworth Ladies Mile, L, Greyville Open a Betting World Account P.
BLAKE (06g, Nassipour, Century). 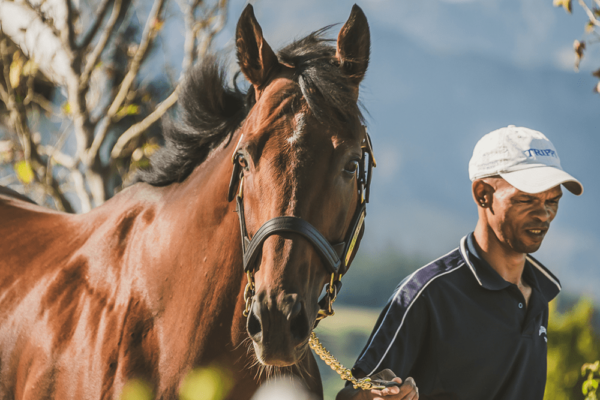 9 wins from 1800m to 2800m, R1,059,168, Kenilworth J&B Reserve Stayers H., Gr.2, Greyville Lonsdale Stirrup Cup, Gr.3, Kenilworth Cape Summer Stayers H., Gr.3, Durbanville Woolavington H., L, Play an All to Come Bet H., Kenilworth SKFD P., 2d Greyville Schweppes H., Gr.3, Kenilworth Montrose Foundation S., All to Come Bet H., Durbanville UK Soccer 6 H., All to Come Bet H., 3d Greyville Gold Cup, Gr.1, Gold Vase, Gr.2, Kenilworth Chairman’s Cup, Gr.3, Durbanville Settlers’ Trophy, L, Have a Royal H., UK Soccer 6 H., 4th Kenilworth J&B Reserve Stayers H., Gr.2, Cape Summer Stayers H., Gr.3. LET IT RAIN (12c, Giant’s Causeway, Seattle Slew). 7 wins from 1700m to 3200m to 2017-18, R1,237,388, Kenilworth Cape Stayers H., Gr.2, Turffontein Gold Bowl, Gr.3, Vaal Java H., L, Turffontein World Sports Betting S., Soccer 13 Xtra Graduation P., Tellytrack H., 2d Turffontein Caradoc Gold Cup, Gr.3, 3d Greyville Gold Cup, Gr.3, Scottsville Track & Ball Derby, Gr.3, 4th Turffontein Gold Bowl, Gr.3, Kenilworth Chairman’s Cup, Gr.3, Turffontein Aquanaut H., L.
SOLID SPEED (10c, Jallad, Flaming Rock). 8 wins from 1600m to 2400m, R828,550, Greyville Betting World 1900, Gr.2, Lonsdale Stirrup Cup, Gr.3, Highland Night Cup, Scottsville Racing It’s a Rush S., Greyville KZN Dolphins H., Durbanville Rugby 5 H., 3d Greyville Gold Vase, Gr.2, 4th Kenilworth J&B Urban Honey Stayers’ H., Gr.2. ALEXIS (11f, Parade Leader, Red Ryder). 6 wins from 1200m to 1600m, R744,550, Greyville KRA Fillies Guineas, Gr.2, Tibouchina S., Gr.2, KZN P., Kenilworth Itsarush.co.za H., Soccer 3 H., 2d Kenilworth 9 January Queens P., 3d Greyville Umzimkhulu S., Gr.3, 4th Kenilworth Prix du Cap, Gr.3. DYNAMIC (09g, Theatrical, Lord at War). 5 wins from 1600m to 1800m, R844,610, Kenilworth Premier Trophy, Gr.2, Scottsville Sledgehammer H., L, Kenilworth Racing It’s a Rush P., Durbanville Racing Its a Rush P., 2d Kenilworth Cape Derby, Gr.1, Greyville Cup Trial, Gr.3, Scottsville Racing It’s a Rush S., Fairview Racing It’s a Rush S., 3d Greyville Betting World 1900, Gr.2, Tabgold H., Gr.3, Cup Trial, Gr.3, Turffontein Edgeline S., 4th Greyville Betting World 1900, Gr.2. DYNASTIC POWER (10g, Royal Prerogative, Jamaico). 4 wins from 1200m to 2400m, R620,100, Greyville Betting World 1900, Gr.2, Kenilworth Winter Derby, Gr.3, 2d Kenilworth Winter Classic, Gr.3, Horizon Valuation P., 3d Scottsville Sledgehammer H., L, 4th Kenilworth J&B Jet Stayers H., Gr.2, Selangor Cup, Gr.2, Winter Guineas, Gr.3, Cape Summer Stayers H., Gr.3. SMILING BLUE EYES (13f, Badger Land, Jamaico). 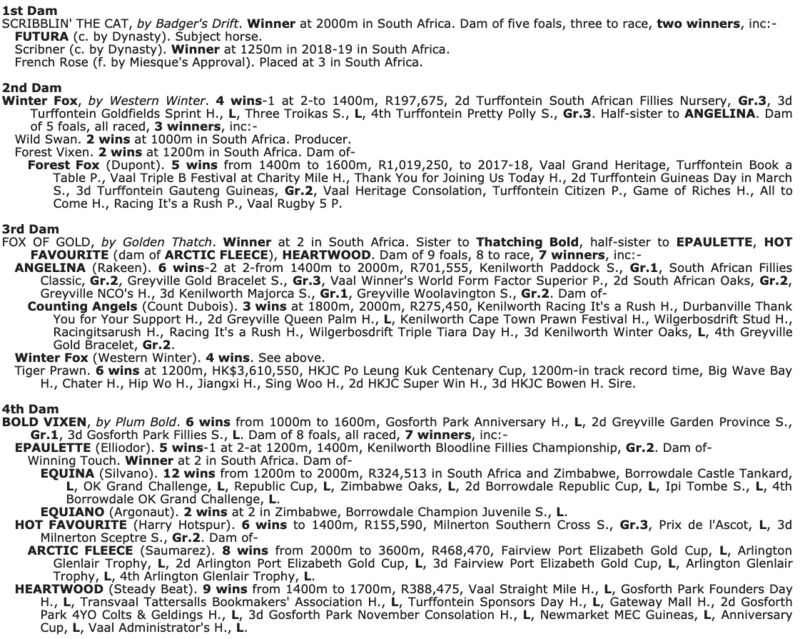 3 wins at 1600m, 2000m, R542,875, 22,020Dhs, Turffontein Gauteng Fillies Guineas, Gr.2, Fillies Mile, Gr.3. DARING DAVE (10c, Grand Slam, Lyphard). 6 wins-1 at 2-at 1000m, 1200m, R592,775, Greyville Post Merchants H., Gr.2, Kenilworth Pinnacle S., Mr Allan Amler H., Investec H., 2d Kenilworth Cape Merchants H., Gr.2, Southeaster Sprint S., L, Pinnacle S., 3d Kenilworth Stand a Chance to Win a Polo Vivo H.
DEMANDING LADY (08f, Deputy Commander, Northern Flagship). 5 wins from 1200m to 2200m, R567,050, Turffontein Ipi Tombe Challenge, Gr.2, Racing Association S., Soccer 6 H., Joan St Leger Lindbergh Trust H., 2d Turffontein Johannesburg Spring Fillies & Mares Challenge, Gr.3, Lithotech P., Mr L Clark P., Nixon Holdings H., 3d Turffontein Acacia H., Gr.3, Oaks Trial, L, Vaal Rugby 5 Try it H., 4th Turffontein Syringa H., L.
SABINA’S DYNASTY (13f, Sportsworld, Model Man). 4 wins at 1600m, 2000m in 2017-18, R741,725, Turffontein Gerald Rosenberg S., Gr.2, Visit Supabets.co.za H., Tab Telebet H., 2d Turffontein Victory Moon S., Gr.3, Jacaranda H., L, Full Dividend No Limits H., 3d Greyville Michaelmas H., L, 4th Turffontein Acacia H., Gr.3. DE KOCK (10c, Al Mufti, Quick Turnover). 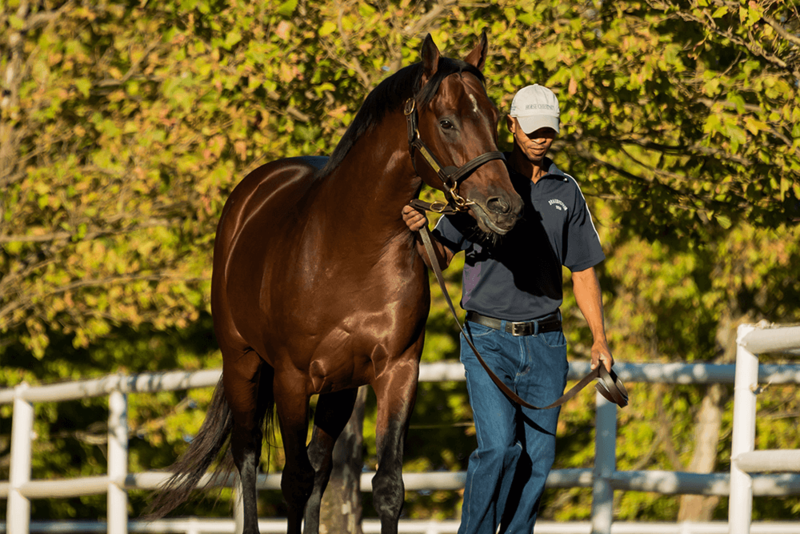 3 wins-1 at 2-from 1000m to 1600m, R399,150, Kenilworth Selangor Cup, Gr.2, Mr Eben Coetzee H., 2d Kenilworth Sophomore Sprint H., L, Scottsville Mike Azzie Racing Stables S., Theshlin Chetty H., 3d Kenilworth Cape Classic, Gr.3, Scottsville Racing. It’s a Rush H.
AFRICAN NIGHT SKY (13c, Cozzene, Kingmambo). 6 wins from 1200m to 2400m to 2017-18, R948,400, Kenilworth Winter Classic, Gr.3, Greyville Cup Trial, Gr.3, Kenilworth Winter Guineas, Gr.3, Winter Derby, Gr.3, 2d Greyville Solid Speed S.
OLMA (11f, Danzig, Mujtahid). 7 wins from 1600m to 2000m, R852,875, Greyville Flamboyant S., Gr.3, Kings Cup, Gr.3, Itsarush.co.za H., Rotary Gift to the World P., TAB Track & Ball Gaming P., Soccer 1 P., 2d Greyville Garden Province S., Gr.1, Michaelmas H., L, 4th Greyville Flamboyant S., Gr.3. HEARTLAND (11g, Cozzene, Gone West). 5 wins from 1200m to 1600m, R527,521, Greyville Byerley Turk P., Gr.3, Kenilworth Jet Master S., L, Scottsville Daniels Flooring P., Kenilworth Racing It’s a Rush H., 2d Durbanville Matchem S., Gr.3, Kenilworth Racing Its a Rush S., 3d Kenilworth Cape Classic, Gr.3, Carl Greaves Brokers S., Itsarush.co.za H., 4th Durbanville Matchem S., Gr.3. BARRACK STREET (14c, Al Mufti, Elliodor). 3 wins at 2, R364,825, Turffontein Protea S., Gr.3, Storm Bird S., L, 3d Vaal Tab Telebet H.
IT IS WRITTEN (10c, Northfields, Sir Tristram). 9 wins from 1400m to 1800m to 2018-19, R868,223, Greyville Christmas H., Gr.3, Kwazulu-Natal Breeders 1600 H., Fairview Fairview 1800, Scottsville Great Rumpus S., Itsarush.co.za H., Kenilworth Quartet Boxed 4 Countries to Reach Semi Finals H., Book Your Table in the Somerset Room H., 2d Scottsville Sledgehammer H., L, Greyville Fort Stud Kwazulu-Natal Breeders H., Fairview Friendly City S., 3d Kenilworth Equine Online S., Joburg’s Prawn Festival H., Fairview Play Soccer 6 10 & 13 S., Tellytrack.com H.
FOURTH ESTATE (07g, Jallad, Northern Guest). 8 wins at 1400m, 1600m, R675,675, Greyville Christmas H., Gr.3, Clairwood KZN Summer Challenge 1600, Greyville P Trimborn Agency S., Fever Tree H., Clairwood Captain’s Gal H., Greyville Rugby 5 Try It! H., 2d Clairwood Racing to Save the Rhino H., Greyville Kewet Properties H., Beltyre Africa H., Isiqina H., 3d Clairwood Christmas H., Gr.3, Greyville It’s a Rush H., 4th Greyville Darley Arabian H., L.
MADE TO CONQUER (13c, Casey Tibbs, Al Mufti). 6 wins from 1600m to 2500m in 2017-18, R1,410,672, Greyville Lonsdale Stirrup Cup, Gr.3, Scottsville Racing It’s a Rush H., 2d Greyville Durban July, Gr.1, Kenilworth Premier Trophy, Gr.2, Christmas Market in December S.
OUR EMPEROR (13c, Jet Master, Elliodor). 6 wins from 1800m to 3200m to 2018, R730,088, Kenilworth Chairman’s Cup, Gr.3, Mauritius TC La Coupe des Presidents, 175th Anniversary Cup, Kenilworth Snaith Racing H., 2d Durbanville Settlers Trophy, L, 3d Kenilworth Cape Summer Stayers H., Gr.3. SHIMMERING GEM (09g, Rakeen, Elliodor). 6 wins from 1400m to 3200m, R469,525, Turffontein Racing Association H., Gr.3, It’s a Rush Racing H., Phumelela International H., M3 Construction Projects H., 2d Turffontein Thank You for Your Patronage H., Vaal Soccer 6 H., 3d Turffontein Motor Control & Automation H., Computaform Express H.
BLAZE OF NOON (10c, Goldkeeper, Buck’s Bid). 4 wins from 1600m to 1850m, R368,786, Kenilworth Politician S., Gr.3. STORM DESTINY (15f, Kilconnel, Peaceable Kingdom). 3 wins-1 at 2-from 1400m to 1600m to 2018-19, R376,500, Turffontein Three Troikas S., Gr.3, Ken Wright Memorial P., 4th Turffontein South African Fillies Classic, Gr.1. HASHTAGYOLO (14f, Jallad, Elliodor). 3 wins at 1600m, 1750m in 2017-18, R284,375, Greyville Flamboyant S., Gr.3, KZN Fillies Guineas Trial. HORIZON (13c, Lomitas, Beau’s Eagle). 3 wins from 1400m to 1800m, R598,525, Kenilworth Politician S., Gr.3, Greyville Racing It’s a Rush P., 2d Kenilworth Jet Master S., L, 3d Greyville Daily News 2000 S., Gr.1, 4th Kenilworth Peninsula H., Gr.2. NASSA (12g, Rich Man’s Gold, Forlitano). 3 wins at 1600m, 1800m to 2017-18, R225,125, HK$2,336,250, HKJC Sa Sa Ladies’ Purse, Gr.3, 3d Kenilworth Cape Guineas, Gr.1, HKJC BOCHK Jockey Club Cup, Gr.2, Kenilworth Selangor Cup, Gr.2. His sire sons include Jackson, Irish Flame, Dynastic Rule, Act of War, Legislate, etc. BADGER’S DRIFT 7 wins from 1300m to 2450m, R1,870,312, South African Derby, Gr.1, Gosforth Park South African Classic, Gr.1, Greyville Daily News Two Thousand S., Gr.1, Gosforth Park Superior P., 2d Kenilworth Cape of Good Hope Derby, Gr.1, Newmarket Gauteng Guineas, Gr.2, 3d Newmarket Elevation S., Gr.2, 4th Kenilworth Cape Argus Guineas, Gr.1. and 1 stakes winner, inc. FUTURA. 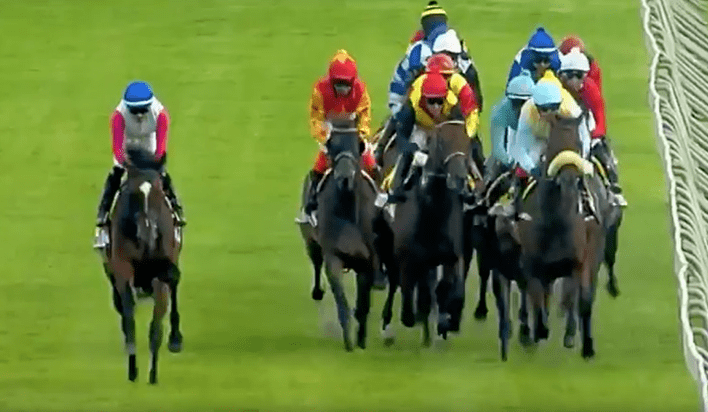 “Gr1 horses win Gr1 races” – it’s an old adage to illustrate that only the best horses win the biggest races. It follows that breeding Gr1 winners must be the hardest thing in the world to do. 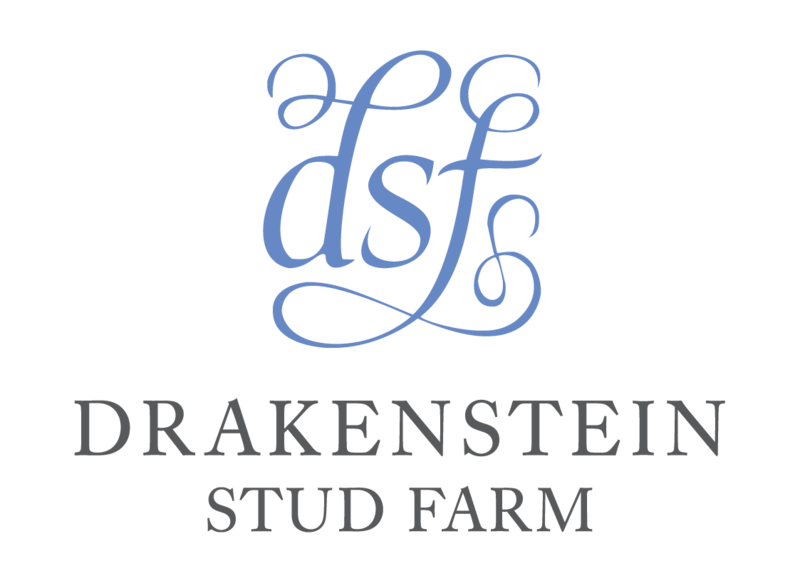 Consequently even the very best stallions have percentages of Gr1-winners-to-foals in low single figures – and the same goes for breeders of Gr1 winners. Just one or two of such winners in a hundred sets you way apart from the also-rans in the great genetic lottery. 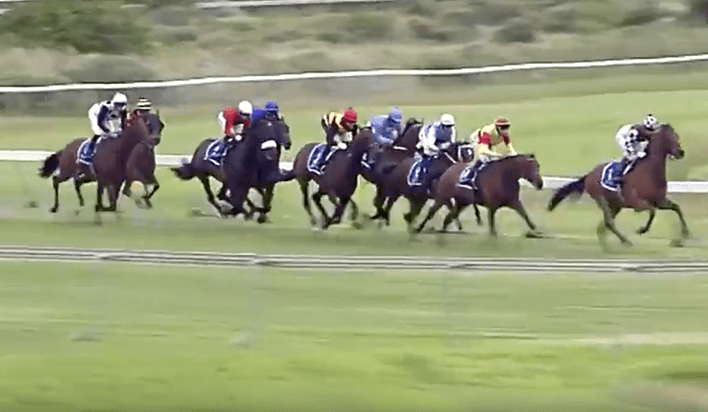 It explains why doing quantitative research just on Gr1 winners of stallions is a futile exercise – the numbers are too small to have any meaning in statistical terms. Which leaves the alternative of dissecting Gr1 winning pedigrees individually in the hope that promising patterns may be found. And then the trouble starts. 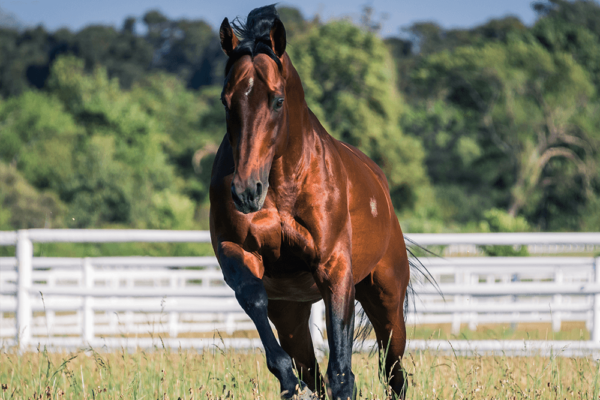 Instead of finding sequences of the very best stallions as the sires of mares in successive generations of the Gr1 winners, relatively obscure names appear, often showing the female ancestors to be the offspring of very moderate stallions. Who would breed that way? But wait… help is at hand! Let’s look at Futura’s sire Dynasty, a leading South African stallion this year. He has seven Gr1 winners to date, born between 2006 to 2011 – a six-year period, in which he sired 372 foals (187 colts, 185 fillies), making for 1.8% Gr1 winners. A glance at the sequence of damsires, for five generations, of Dynasty’s Gr1 winners suggests infinite variety (see table) – only Drum Beat appears more than once, none of the others are repeated. Some related names appear, though. 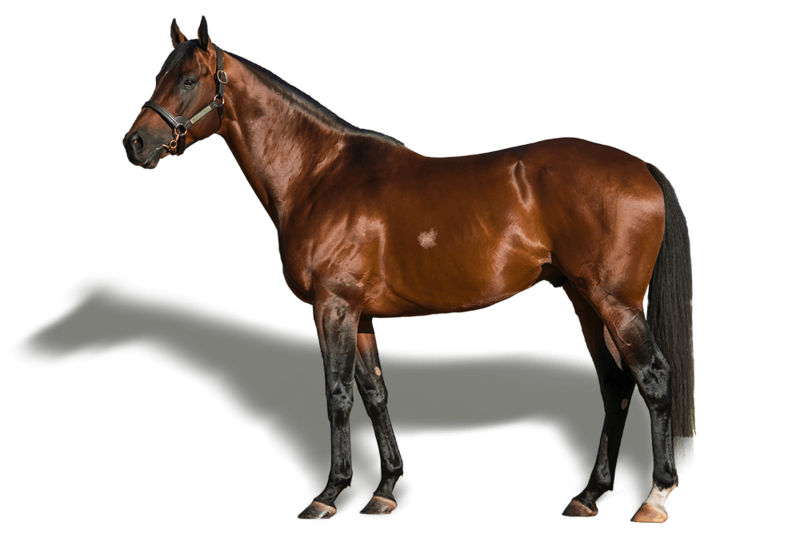 Gone West (in Jackson) is sire of Western Winter (in Futura). Badger’s Drift (in Futura) and Restructure (in Legislate) are both out of mares by Thatching who is full brother to Golden Thatch (in Futura). These full brothers are out of Abella, by Abernant – whose pedigree is close to the one of Drum Beat, and to the one of the mare Mixed Marriage, third dam of Gone West. Another close link is to the mare Farthing Damages, who is doubled in the dam of Pole Position. Then there’s the close resemblance of all of these kin-relatives with Court Martial and Tudor Minstrel. Finally, for Dynasty the link to all of these comes through his third dam Lavenda Lady. She’s by Abernant, and is close kin to Drum Beat et al, including the mare Popcorn, female line ancestress of Irish Flame. His dam Scribblin’ The Cat is kinbred 3×3 to full brothers Thatching and Golden Thatch, who are damsires respectively of the mare’s sire Badger’s Drift and her dam Winter Fox. Thatching and Golden Thatch are themselves closely kin-bred, 3×4 to Dalmary, who is female line ancestress of their sire Thatch and dam Abella (who is by Abernant). The presence of Abernant looks to be significant, but there’s more. Badger’s Drift is by Badger Land, whose grandam Mime (by Pretense) is close kin to Fall Aspen (by Pretense). Fall Aspen is the dam of Dynasty’s sire Fort Wood, a son of Sadler’s Wells (from the Dalmary female line). Badger’s Drift’s grandam Abrinya (by Red God) is 3-part sister to influential sire Blushing Groom. The latter’s dam Aimee (grandam of Abrinya) is very close kin to Mime and to Fall Aspen. Aimee is by Tudor Minstrel, and very close kin to Mixed Marriage (by Tudor Minstrel), who is third dam of Gone West (sire of Western Winter). Western Winter is the sire of Futura’s grandam Winter Fox, and is kinbred 4×4 to Mixed Marriage and Court Martial. The close kinship between all of Abernant, Mixed Marriage, Court Martial, Drum Beat, Farthing Damages, Tudor Minstrel (and others) provides a wealth of opportunity for Futura. These lines are very well represented in the South African breeding population. A notable Court Martial carrier is Elliodor, who in Futura’s family is represented by Gr2 winner Epaulette, a half sister to Futura’s third dam Fox Of Gold. Also in this female line is Gr2 winner Danseuse Classique, who is kinbred 3×4 Minstrel’s Pride x Arietta, both daughters of Tudor Minstrel. Danseuse Classique’s unraced daughter Cry For The Lion (by Elliodor) got multiple Gr1 winner Aslan, by Silvano. The latter also is the sire of Epaulette’s Gr1 winning granddaughter Equina. Also of interest is former champion broodmare sire Royal Prerogative, whose dam Bride Elect is close kin to Abella, dam of Golden Thatch. The combination has proved successful, notably through Gr1 winner and sire Goldmark (Golden Thatch x Royal Prerogative mare). Kin-relatives with backgrounds as found in Tudor Minstrel, Mixed Marriage (Gone West, Western Winter; Sharpen Up, Kris, Diesis, Pole Position; Known Fact; My Earl), Aimee (Blushing Groom, Jallad, Rainbow Quest, etc. – widespread), Hobnob; Averof/Foveros; Abernant (wide-spread, but notably Golden Thatch (Goldmark), Thatching (Restructure), Derring-Do (Jan Ekels), Popcorn, etc. ); Court Martial (widespread, but notably Elliodor (Model Man), Capture Him, Lords, Welsh Harmony (National Emblem); etc. ); Drum Beat; Mexico (Harry Hotspur); etc., etc. Real Delight female line descendants and kin, incl Minnetonka (Oratorio, Badger Land), Plum Bold, Alydar (Duke Of Marmalade, Peintre Celebre (Byword, Jam Alley)), Grand Slam (by Gone West; sire of sire Visionaire and damsire of Dynasty’s Gr2 winner Daring Dave); etc. A final observation on the pedigree elements of Futura’s dam Scribblin’ The Cat. Her third dam Bold Vixen is by Plum Bold out of a mare by Romulus (Ribot x Tudor Minstrel). The mare’s sire Badger’s Drift is by Badger Land, whose grandam Mime is close kin to Tudor Minstrel. Badger Land’s sire Codex is by a grandson of Ribot, while his grandam Minnetonka is very close kin to Plum Bold. All that makes Badger Land very close kin to Bold Vixen, suggesting that Futura might well appreciate pedigrees which carry those same background lines. A stallion to keep in mind in this respect is Oratorio, whose grandam doubles the female line of Plum Bold and Minnetonka. In Oratorio one representative of this duplicated female line is Alydar, who also features in Duke Of Marmalade and Peintre Celebre (Byword, Jam Alley).